Comprehensive Planning assembles the City's Consolidated Strategy and Plan, which budgets Federal funds from the Department of Housing and Urban Development (HUD), Community Development Block Grant (CDBG) program, Home Investment Partnership (HOME) program, and Emergency Solutions Grant (ESG) program, to address local housing, quality of living environment and economic needs. A summary of Akron’s latest Consolidated Plan can be viewed here. Non-profit Development Corporations are providing important development programs within their neighborhoods. The emergence of these organizations has led the City to support their organizational structure not only with project funding but with administration funding. Organizations must be in operation for at least a year and have the capacity to provide housing-related services within a defined neighborhood. For more information, please contact (330) 375-2090. 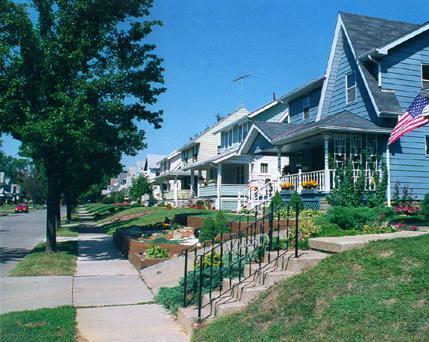 Lower-income residents of Akron are provided a range of public and social services concentrating on health, security, education, fair housing and the arts. To learn specifics about each program available, call 330-375-2090.